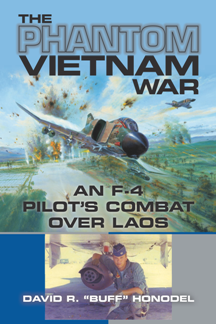 The reader will experience Buff’s war from the cockpit of a supersonic F-4D Phantom II, doing 5-G pullouts after dropping six 500-pound bombs on trucks hidden beneath triple jungle canopy. These were well defended by a skillful, elusive, determined enemy firing back with 37mm anti-aircraft fire and tracers in the sky. The man who left the States was a naive, self-centered young pilot. The man who came back 137 missions later was much different.